The area surrounding Tokyo is filled with hidden gems and places to see. STEP INTO GREATER TOKYO introduces many different model travel itineraries for the exciting destinations in Japan. Take a look and let us help you plan an unforgettable trip! How do you plan for a trip to Japan? Do you reference guidebooks or look at reviews online? How about reading through blogs and social media? While these sources will provide you with information about places to visit, you may also be concerned about how to make the most out of your trip as you travel. Some of you may not be confident on how to use trains and buses, or feel uneasy about actually reaching your destination. Your uncertainty will fade with Step Into Greater Tokyo. Our website introduces model itineraries for your trip, guiding you to exciting destinations throughout Tokyo and its surrounding areas, including places not yet well-known to most travelers. The articles you can read on this website are easy to understand, and are written in a blog-like format by MATCHA writers who experienced the trips firsthand. Our writers themselves chose these routes, and have included their own opinions in these articles. Please utilize our articles like you would use a review website offering practical travel tips and advice. Additionally, these articles are authored by MATCHA’s own writers. As MATCHA is a website focused on and dedicated to Japan and travel in Japan, you can feel secure about the advice presented in these articles. Our content has been confirmed and double-checked at MATCHA and with in-person interviews, just like a guidebook. Allow us to show you how to use the abundant information contained on the Step Into Greater Tokyo website to help you maximize your trip in and around Tokyo! 1. Feel Secure About Your Trip to Tokyo! 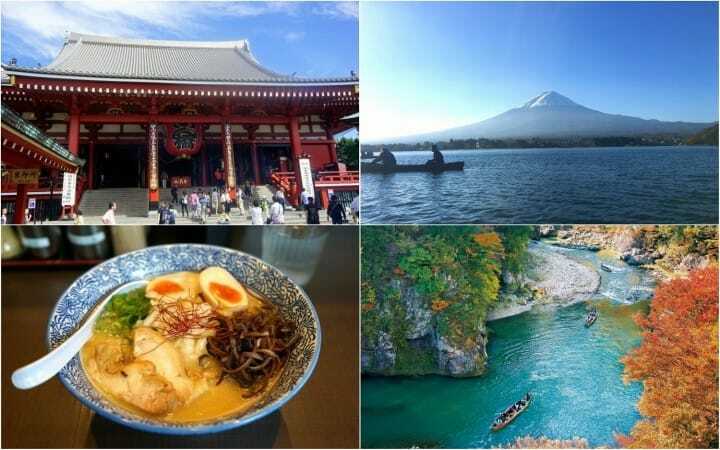 Your long-awaited Japan trip has come at last, so you naturally will be wanting to go to many different places. On the other hand, you may be worried about certain things, from how to buy tickets at train stations in Japan to how to change trains. There is no need to worry, however, as the model itineraries on Step Into Greater Tokyo website are not only about places to see. We also include everything a first-time visitor should know: access information for each destination, types of tickets available and how to buy them, how to use a train, and information on special discount tickets you can buy. We hope our articles will be helpful and handy for you! If you are staying in Tokyo for a number of days, or if you are not a first-time visitor to Tokyo, instead of sightseeing only around the capital, why not venture into the great places in the surrounding vicinity as well? Step Into Greater Tokyo offers not only model courses in Tokyo but also for trips to the nearby suburbs. By heading to a destination outside of Tokyo, you get to see a different Japanese townscape and experience new things, like trying a unique dish you wouldn’t normally find in the city. In the suburban and rural areas around Tokyo, you will encounter Shinto shrines that have stood for centuries, along with many other historical sites that have been preserved for many years. We highly recommend an excursion outside the metropolis to make your trip even more memorable. There are four categories of model courses listed on our website: 1) Tours starting from the airport, 2) One-day trip plans for Tokyo, 3) Day trips to Tokyo’s suburbs, and 4) Two-day trips departing from Tokyo. Next, narrow down your choices based on your travel objectives. Choose from the header menu of the top page where the Plan, Interest, Season, and Area buttons are, or take advantage of the search function. For example, if you already have a certain time of the year in mind for your Tokyo trip, find the Season button in the header section. Simply click on it and a list of recommended routes during that season will appear! We also provide information about traveling to and from the Narita and Haneda airports, the gateways to Tokyo. Read these articles before you embark on your Tokyo voyage for peace of mind and your post-landing transit will run smooth. If it is not your first trip to Tokyo, you can find information on sightseeing around the surrounding areas of the airports as well. 5. Share Your Trip on Social Media! After finding an article that you like, take some time to share it with your friends and family using social media! If you haven't yet decided about traveling to Japan, why not send the article to someone you’d like to go with and invite them on your Tokyo adventure? The first thing to do is to check out the following website. There will be many new articles released in the coming months. Make sure to follow MATCHA’s Facebook page, and you’ll be the first to find out about the latest articles! Visit MATCHA’s Facebook page.